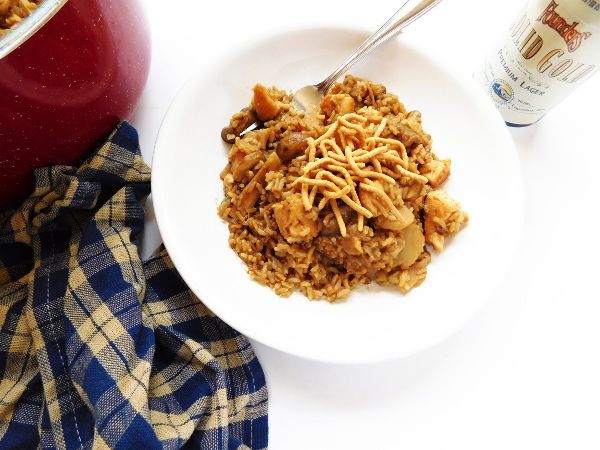 My Dad’s Chicken & Rice is a chicken and rice recipe that you will want to have in your back pocket for busy nights. Fancy mixed vegetables, crispy chicken, mushrooms and crunchy water chestnuts make this a delicious dinner that’s ready in under 30 minutes! I’m serious when I say that I have been eating this meal most of my life. It’s a recipe that my dad invented, thus the name ‘My Dad’s Chicken & Rice’. He cooked it for us growing up and when I was old enough he gave the recipe to me and I’ve been making it myself for about 20 years now. My dad is a great cook! He makes the most unbelievable grilled chicken. My mouth is watering a little right now as I’m thinking about it. I want to think that he got his skills from my grandmother. 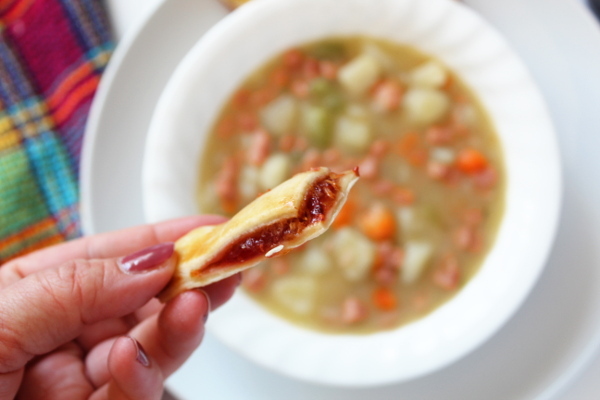 On Sunday’s growing up, we would have big dinners of lamb, creamed spinach, and croissants. Dessert was almost always chocolate pudding with whipped cream. I loved those Sunday’s and I try and keep the tradition alive in our house. Sunday’s here usually start with Swedish Pancakes and end with a big comforting meal like Crock Pot Ranch Pork Roast. 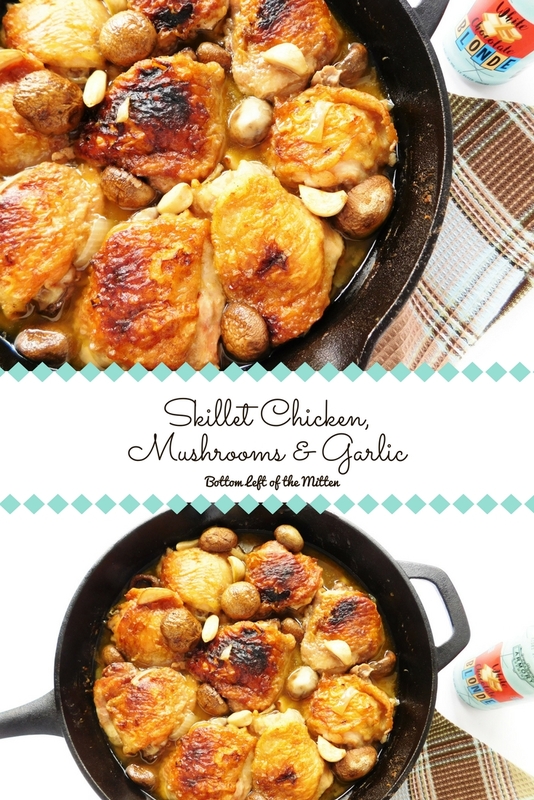 For quick weeknight dinners though, I look to this chicken and rice recipe. 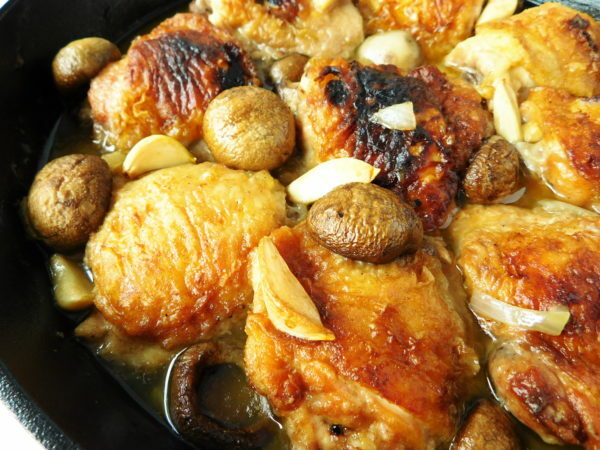 It’s full of chicken, meaty mushrooms, and crunchy water chestnuts. 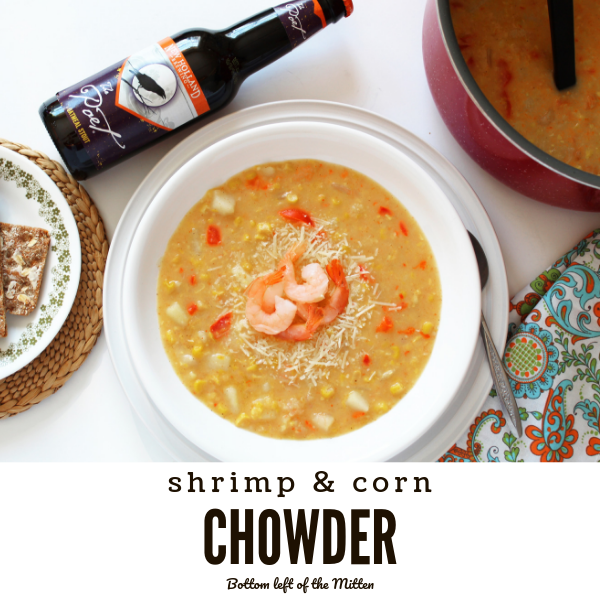 Perfect when you want a one-dish meal that goes from stove to table with little cleanup. 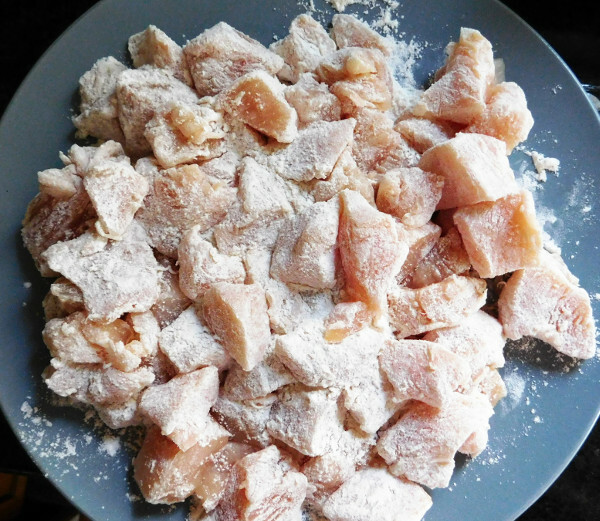 First, take the chicken and cut into cubes. 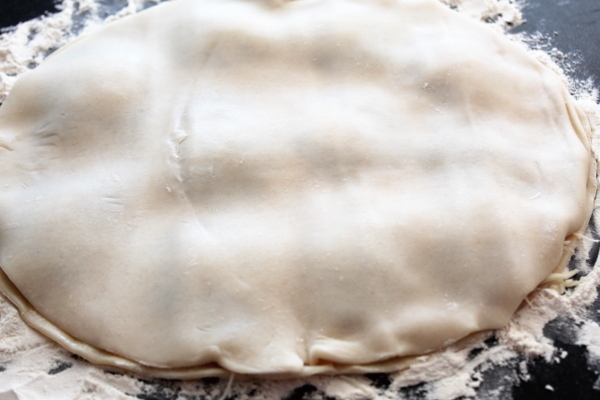 On a plate, put the flour, garlic powder, and pepper. Dredge the chicken in the mixture coating all pieces. In the bottom of a large pan, I use a covered stockpot, heat about 1 tbs. of oil in the bottom of a pan. 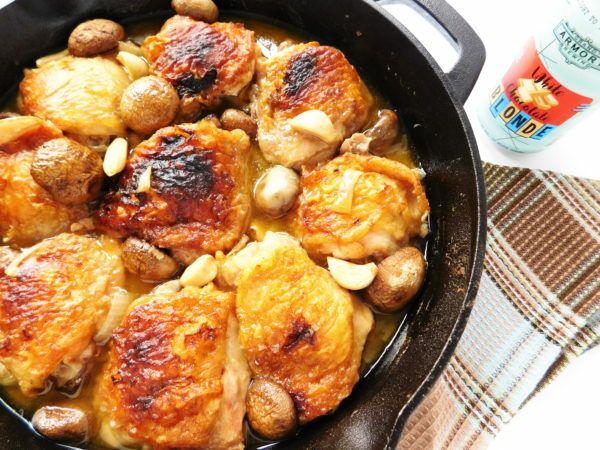 Once the chicken has cooked take it out of the pan and set aside. In the same pan add butter and let it melt. Add the sliced mushrooms and chopped onion. Cook until the mushrooms start to shrink and the onions are browned. To the pan add the chicken back in. Now add the wet ingredients: chicken broth, fancy mixed vegetables (do not drain liquid), water chestnuts (do not drain liquid), and soy sauce. Finally to the pot add the rice and stir it all together. Cover the pot and cook for 10 minutes. After 10 minutes check to see if you need to add any additional chicken stock so that the rice doesn’t dry out and stir so the rice doesn’t stick to the pan. If there’s still plenty of liquid allow to cook another 5-8 minutes covered. 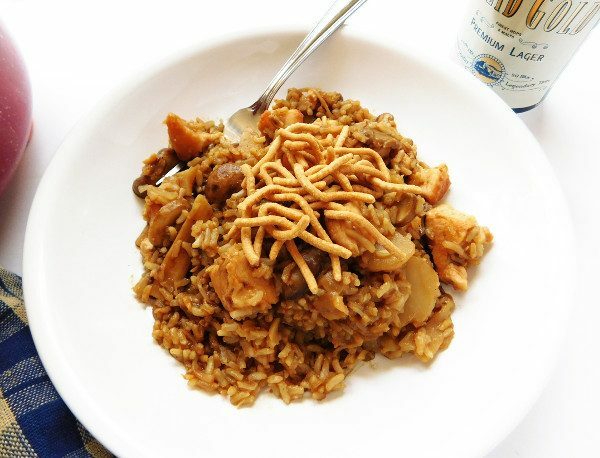 Taste to make sure that the rice has cooked thoroughly and then add salt, pepper, and more soy sauce to your taste. I always end up adding more but please add at your discretion. Top with some crunchy noodles. The key to really good chicken and rice is making sure the chicken in really crispy. 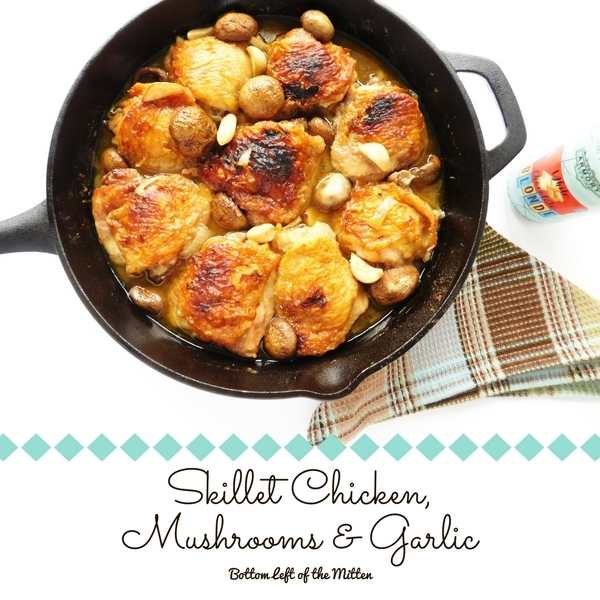 In order to do that it means cooking the chicken separate from the mushrooms and onions. Originally published March of 2016. Updated photos & recipe July of 2018. 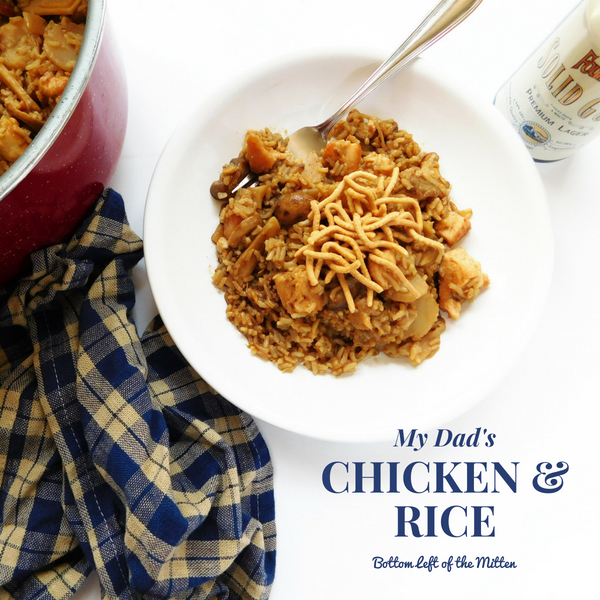 This is 'my Dad's' Chicken & Rice recipe. A hearty meal of chicken, fancy mixed vegetables, and instant rice that cooks up in under 30 minutes. 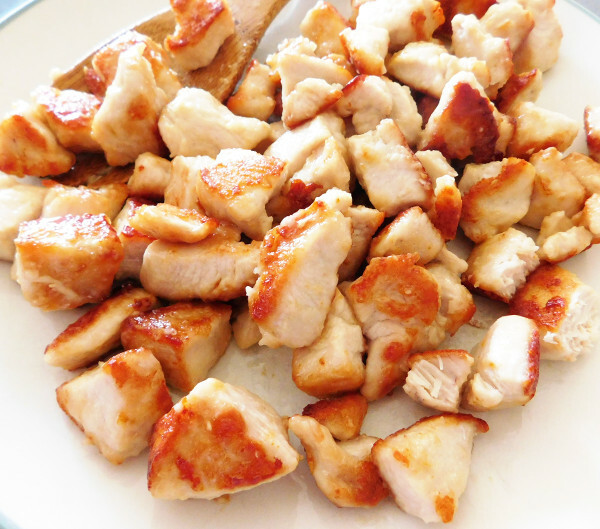 Take the chicken and cut into cubes. 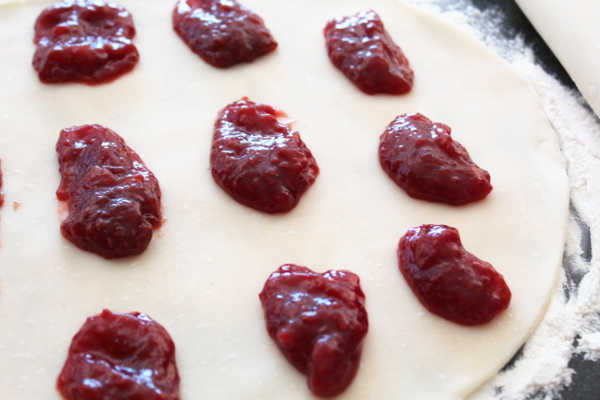 On a plate, put the flour, garlic powder, and pepper. Dredge the chicken in the mixture coating all pieces. In the bottom of a large pan, I use a covered stock pot, heat about 1 tbs. of oil in the bottom of a pan. Add the chicken to the pan and cook until all the chicken is nice and crispy, around 10 minutes. Stiring occasially to make sure all parts are browned. Once the chicken has cooked take it out of the pan and set aside. In the same pan add butter and let it melt. Add the sliced mushrooms and chopped onion. Cook until the mushrooms start to shrink and the onions are browned. To the pan add the chicken back in. Now add the wet ingredients: chicken broth, fancy mixed vegetables (do not drain liquid), water chestnuts (do not dain liquid), and soy sauce. Finally to the pot add the rice and stir it all together. 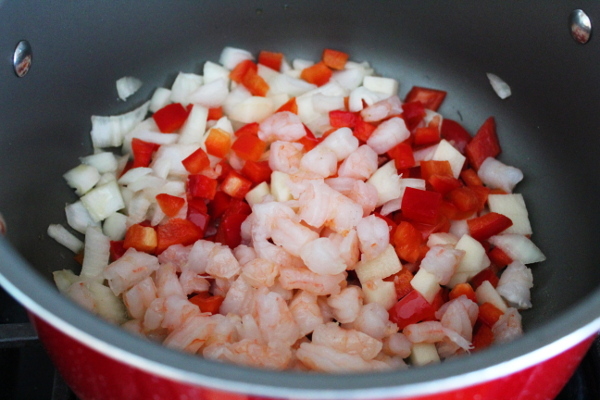 Cover the pot and cook for 10 minutes. After 10 minutes check to see if you need to add any additional chicken stock so that the rice doesn't dry out. If there's still plenty of liquid allow to cook another 5-8 minutes covered. Taste to make sure that the rice has cooked thoroughly and then add salt, pepper and more soy sauce to your taste. Enjoy! Warmer weather means grilling out! 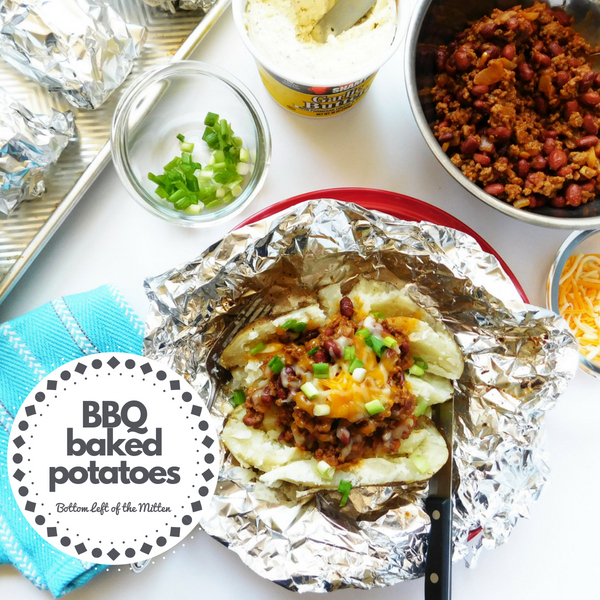 Give these BBQ Baked Potatoes a try. Loaded with beef and beans then topped with cheese and green onions this potato makes a wonderful meal. *Affiliate links are included in this post. Please read my Discloser Policy. I received Chef Shamy complimentary but all opinions stated in this post are my own. For more information about Chef Shamy visit their About page. You can purchase Chef Shamy here and save 10% with the discount code 10BUTTER10 through July 4th. 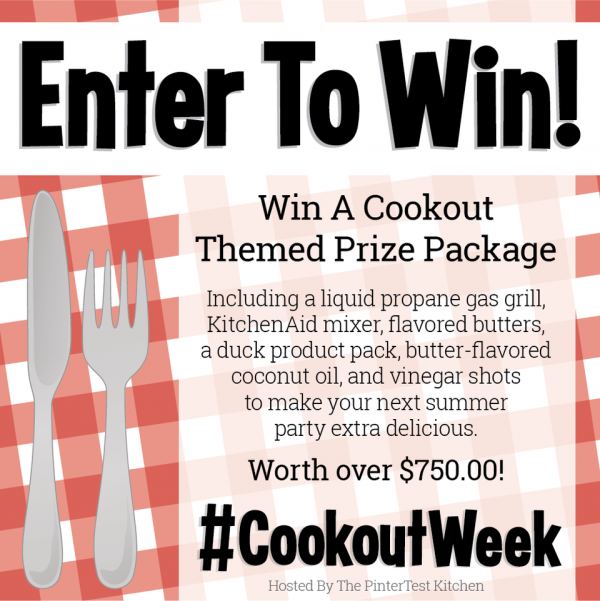 I’m so excited to be participating in another #CookoutWeek! Time sure goes by fast when it feels like we just got done with Choctoberfest. I feel like summer just started yet we are a week away from the 4th of July. Michigan is odd though because due to the law we do not start school until after Labor Day. Where we live in Michigan it’s very close to Indiana and they’ve already been out of school for what feels like weeks! Well, whenever your summer starts no matter where summer usually means cooking out. So let’s get to my first contribution to #CookoutWeek, BBQ baked potatoes. 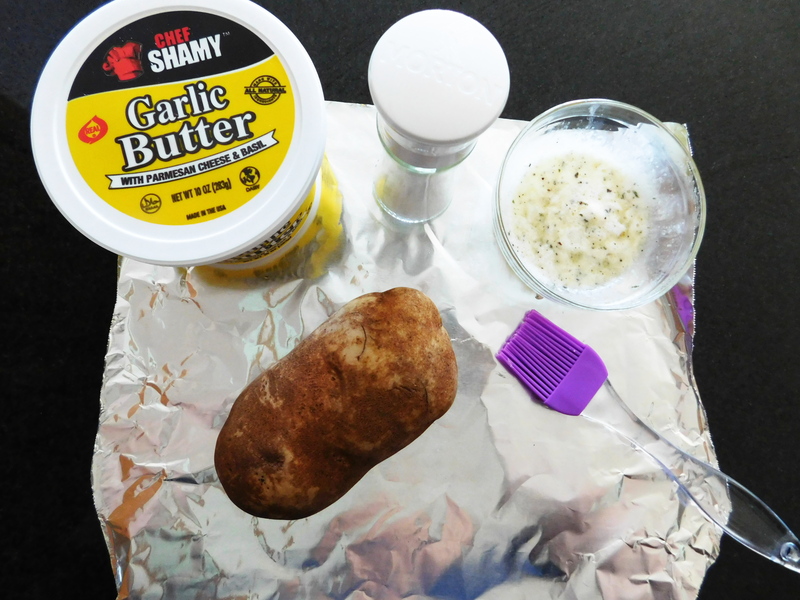 After looking into a few different variations of making BBQ baked potatoes on the grill it seemed like the only logical choice would be to season the tin foil that we are wrapping our potato in. Start by ripping off 6 large sheets of tin foil. Wash the potatoes then set them aside. In a microwaveable bowl melt the Chef Shamy Garlic butter. With a basting brush spread the butter on one side of each piece of tin foil. Sprinkle with sea salt. Poke each potato with a fork to make holes for steam to escape as they cook. 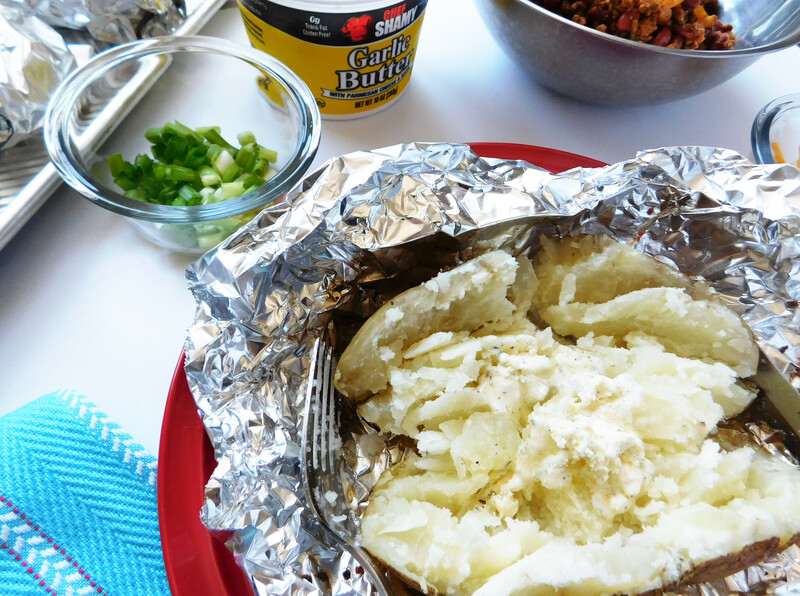 Put the baked potato right in the center of the tin foil then fold at the top then the sides. It is now ready for the grill. Crank the heat on the grill to medium heat so these cook low and slow for 45 minutes-1 hour. 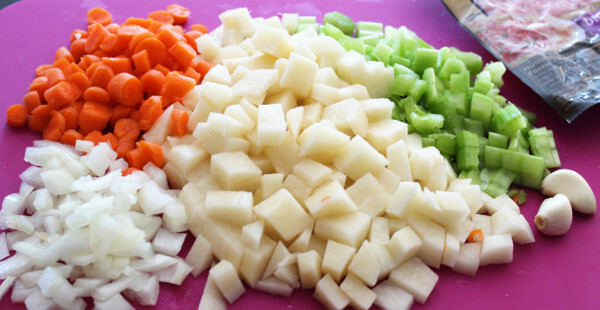 In the last 15 minutes of the potato, cooking make the toppings. I decided on beef, beans, and a slightly sweet BBQ sauce would be perfect! In a pan brown the beef, garlic and chopped onion until the meat is cooked all the way through. Drain off the extra fat from the pan. Now add the beef broth, ketchup, brown sugar, mustard, apple cider vinegar, molasses, chili powder, and paprika. Stir to combine and heat through. Take the potatoes off the grill and let sit for a few minutes. Open the foil carefully since steam will escape. Cut the potato in half. Fluff the potato then add some more Chef Shamy Garlic Butter. Top with the beef and beans. 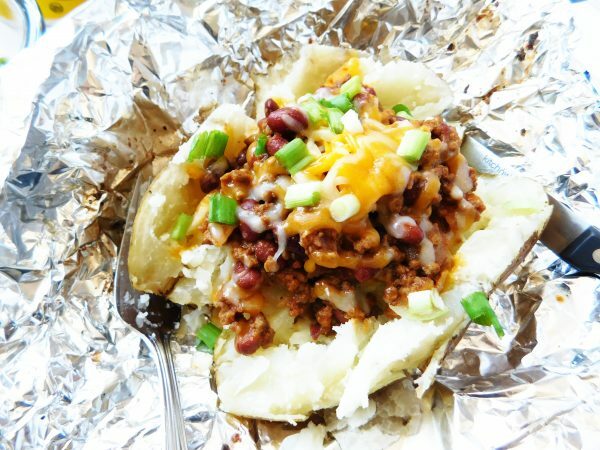 Sprinkle the BBQ baked potatoes with cheese and green onion. Return to the grill for 2-4 minutes to melt the cheese. 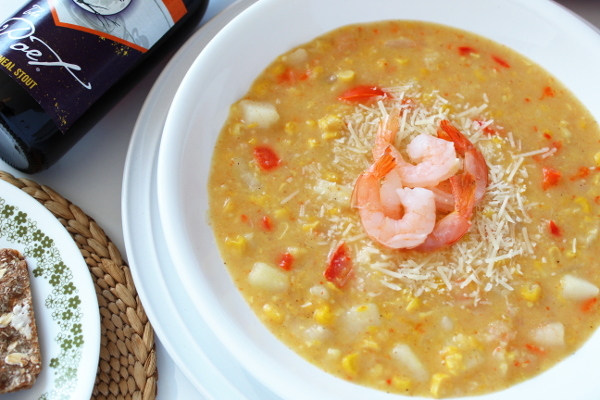 Check out all these delicious recipes from all the participants of #CookoutWeek! 9. Fuzzy Navel No Bake Cheesecake – Who Needs A Cape? Potatoes are even better when made on the grill! Loaded with a BBQ beef and beans and topped with cheese and green onions this potato makes a meal. Rip off 6 large sheets of tin foil. Wash the potatoes then set them aside. In a microwaveable bowl melt the Chef Shamy Garlic butter. With a basting brush spread the butter on one side of each piece of tin foil. Sprinkle with sea salt. Poke each potato with a fork to make holes for steam to escape as they cook. 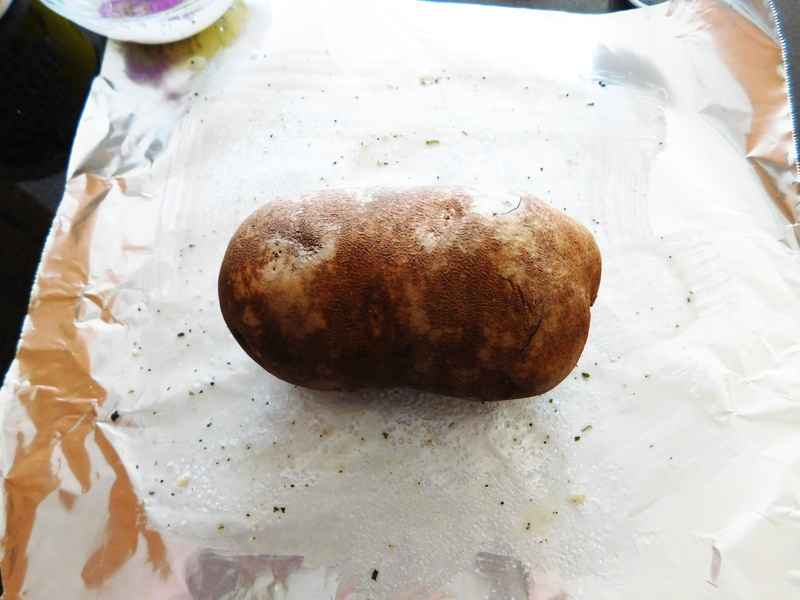 Put the baked potato right in the center of the tin foil then fold at the top then the sides. Crank the heat on the grill to medium heat sthen place these on the grill and cook low and slow for 45 minutes-1 hour. In the last 15 minutes of the potato cooking make the toppings. 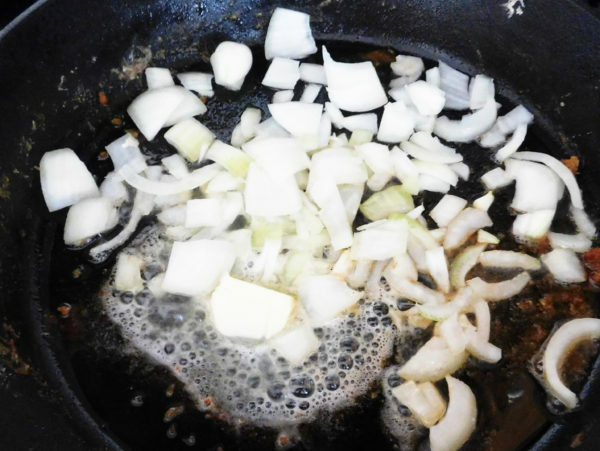 In a pan brown the beef, garlic and chopped onion until the meat is cooked all the way through. Drain off the extra fat from the pan. Add the beef broth, ketchup, brown sugar, mustard, apple cider vinegar, molasses, chili powder and paprika. Stir to combine and heat through. Take the potoatoes off the grill and let set for a few minutes. Open the foil carefully since steam will escape. Cut the potato in half. Fluff the potato then add some more Chef Shamy Garlic Butter. Top with the beef and beans. Sprinkle cheese and green onion. Return to the grill for 2-4 minutes to melt the cheese. Enjoy! We are getting ready to settle in for the long Winter. 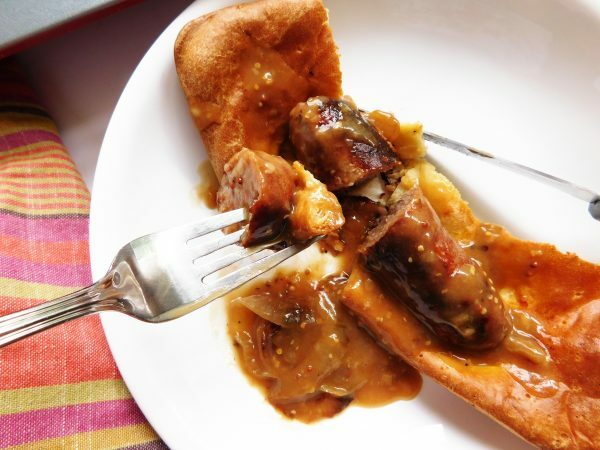 That means it’s time for some classic comfort food, Beef Tips and Gravy. Low and slow is the name of the game so these beef tips come out tender. 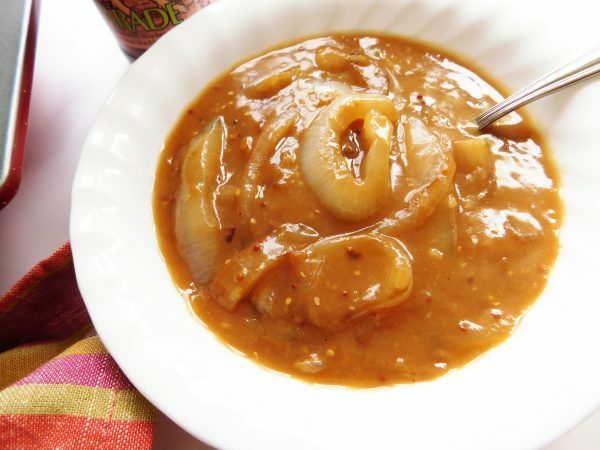 The gravy doesn’t get too thick which is perfect to use to soak into the noodles and dip bread into it. We had our first dusting of snow last night. So for this Mitten Movie Night I am ready for the colder weather, snuggling up in front of the fireplace and a big blanket. 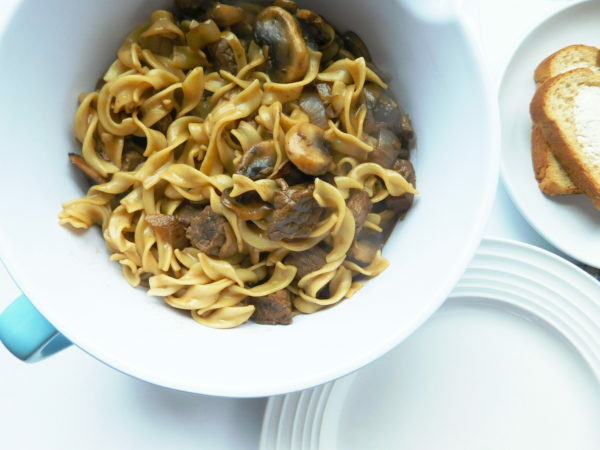 What movie pairs well with a hearty beef and noodle recipe and beer? This is our first holiday in the new house. While I’m excited to start decorating the new house, I am feeling almost a little ‘homesick’. We lived in our old house for 15 years. That’s 15 Thanksgivings, Christmases and New Years. Two babies came home to have their first visits with Santa there. So many wonderful memories but now it’s time to focus on the new memories here. However, I can still stick with tradition and enjoy a few things that we do every year and one of them is watching Scrooged. Hands down one of my favorite holiday movies. 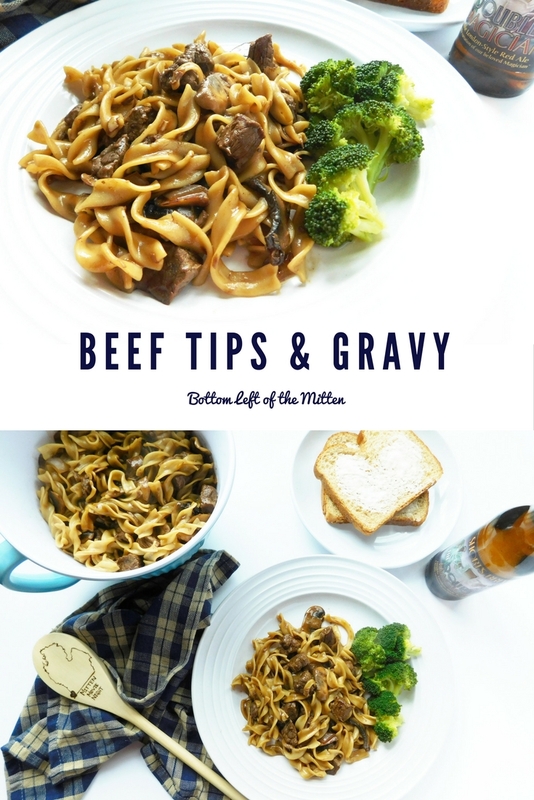 What beer pairs well with Beef Tips and Gravy? The beer: The Double Magician from Short’s Brewing. 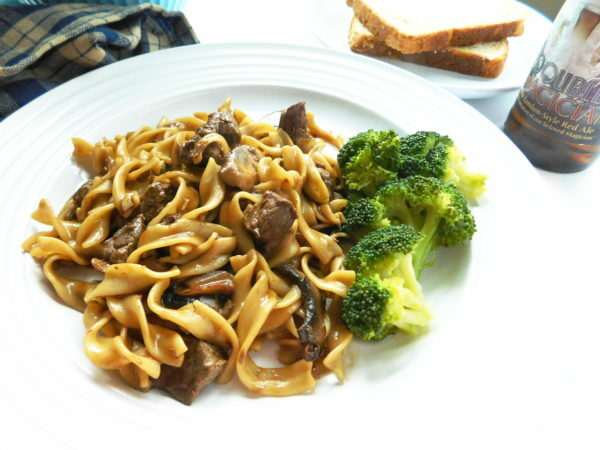 The malty, caramel flavors in Red Ales pair well with the noodles and the savory beef gravy. 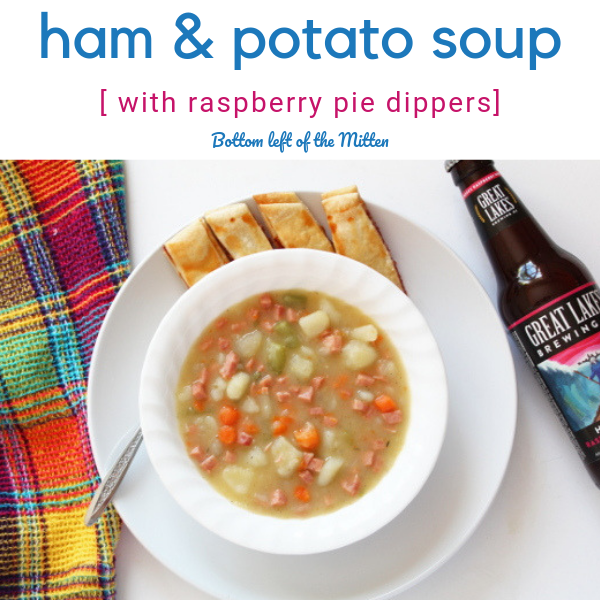 This recipe is one that I’ve been making since before Pinterest was invented. I did find it online and then printed it out but I’ve been making it so long that I threw it out. Luckily I think that I found it on Taste of Home and pretty sure this is it! 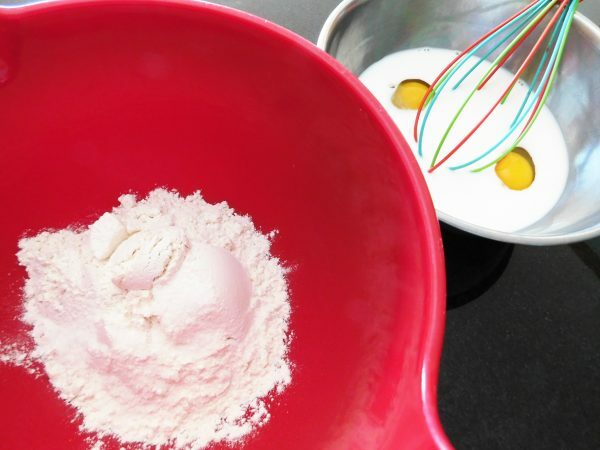 First off, know that this recipe is time intensive. 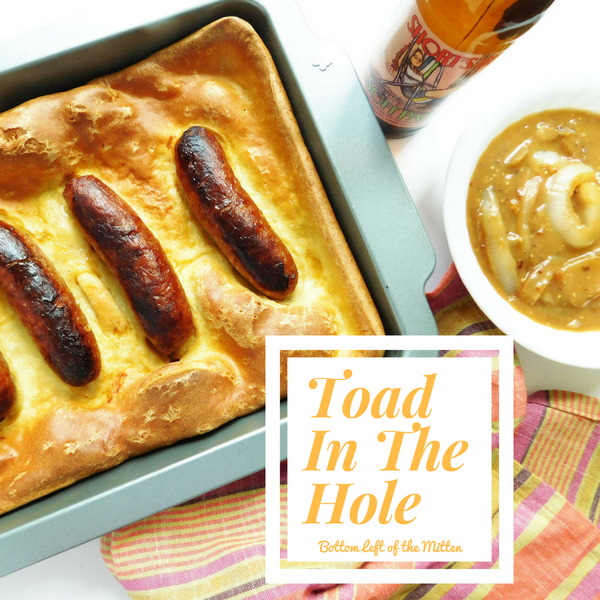 If your hanging out at home on a Sunday this is the perfect meal for you. I have tried cutting down on the time this simmers and it never comes out nearly as good as when I let it go the whole 1-1/2 hours. So be warned. Start by browning the beef tips into a medium saucepan in some oil. This is just to brown it no need to cook all the way through. In a measuring cup put 1 cup water, soy sauce and Worcestershire Sauce. Stir it then add to the beef tips. Turn the heat to low then cover. Let cook for 1-1/2 hours making sure to check every 30 minutes. During the last 20 minutes in a separate pot cook the noodles according to package directions. Cook for 12-14 minutes then empty into a strainer. Turn the low simmering beef tips up to high. In a bowl add the other cup of water and the package of brown gravy. Stir to combine and add to the beef tips. 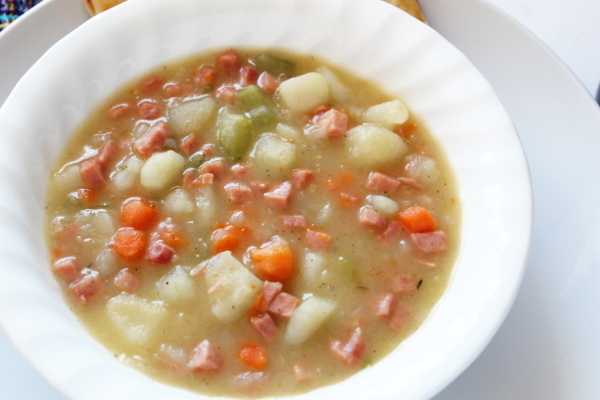 Let cook and thicken up just a little while you do the next part. In the pot that the noodles cooked add 1 Tbs butter and start melting it. Then add the mushrooms, onions, and garlic and saute until the mushrooms are cooked down. It should take about 8 minutes. Finally to this pot add the beef tips and gravy then the noodles. For the noodles: bring the water to a boil before adding to the pot it cooks the noodles better and they don’t stick together. Make sure to check on the beef tips every 30 minutes as they cook. If you have the heat too high it will cook off the liquid then you might burn your tips–oh no! 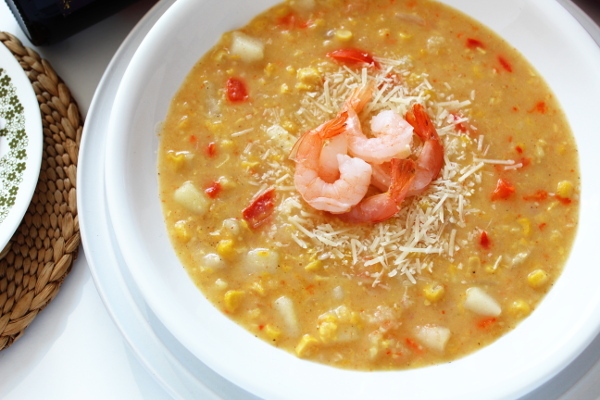 Add a side of bread and a vegetable and here you are…. 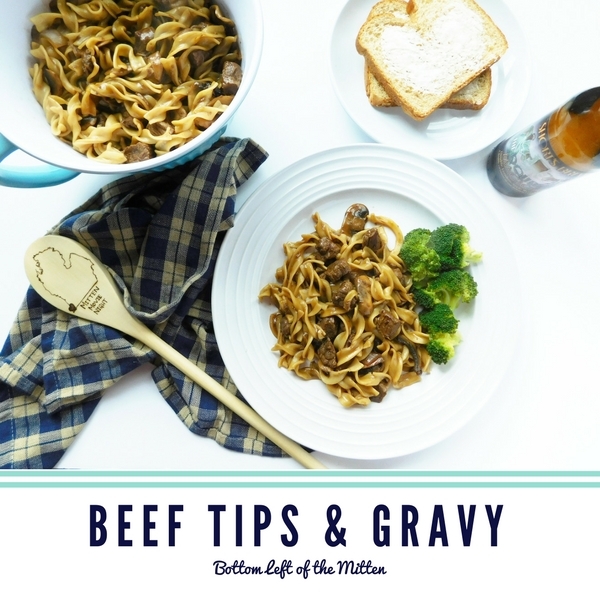 These beef tips and gravy cook low and slow so they come out tender. Serve over noodles for a stick to the ribs dinner, perfect for the colder weather. 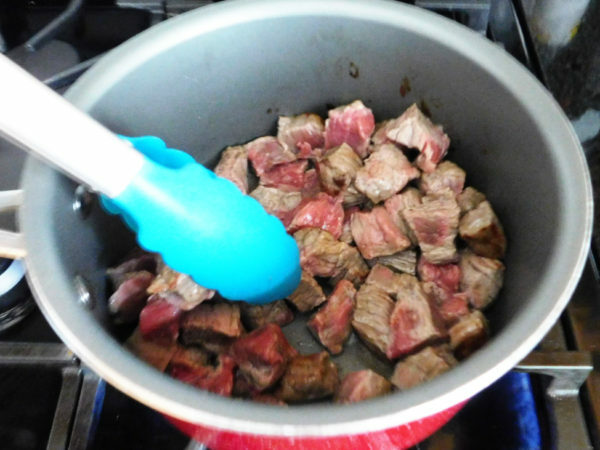 Brown the beef tips into a medium saucepan in some oil. This is just to brown it no need to cook all the way through. In a measuring cup put 1 cup water, soy sauce and Worcestershire Sauce. Stir it then add to the beef tips. Turn the heat to low then cover. Let cook for 1-1/2 hours making sure to check every 30 minutes. During the last 20 minutes in a separate pot cook the noodles according to package directions. Bring the water to a boil before adding to the pot it cooks the noodles better and they stick together. Cook for 12-14 minutes then empty into a strainer. Turn the low simmering beef tips up to high. In a bowl add the other cup of water and the package of brown gravy. Stir to combine and add to the beef tips. 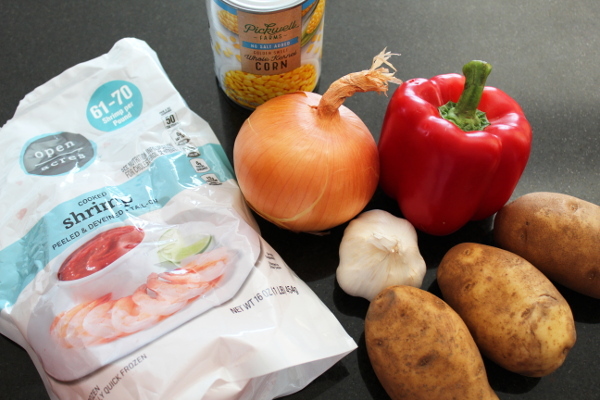 Let cook and thicken up while you do the next part. In the pot that the noodles cooked add 1 Tbs butter and start melting it. Then add the mushrooms, onions and garlic and sautee until the mushrooms are cooked down. It should take about 8 minutes. Add a side of bread and a vegetable. Enjoy! For the noodles: bring the water to a boil before adding to the pot it cooks the noodles better and they don't stick together. Make sure to check on the beef tips every 30 minutes as they cook. If you have the heat too high it will cook off the liquid then you might burn your tips--oh no!